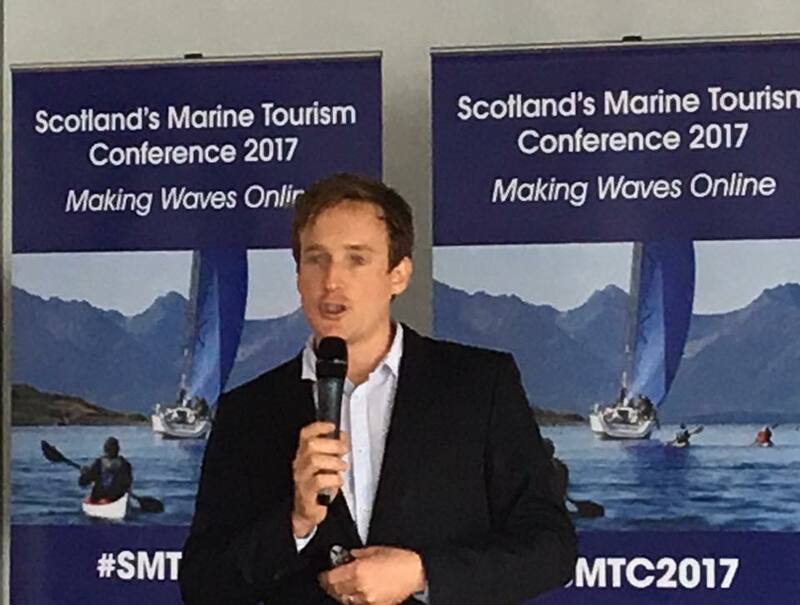 Delegates learn about making the most of digital for their marine tourism business. Sail Scotland Chairman Gavin McDonagh opens the day. 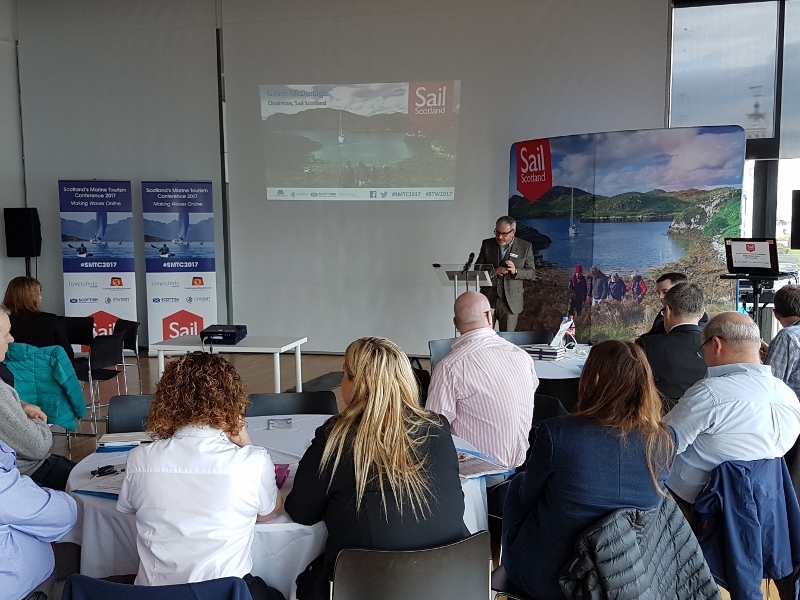 As the national marine tourism event on the program of Scottish Tourism Week the Sail Scotland Marine Tourism Conference; held in Greenock on March 23rd firmly put Scotland's booming Marine Tourism sector on the digital map. Themed around the benefits of digital engagement for businesses of all sizes delegates heard from a wide range of world class speakers on everything from tips and tricks to save you time online, making websites shine across the Google platform and why you should make time to write a blog! Stuart McMillan MSP - As Convener of the Cross Party Group on Recreational Boating and Marine Tourism delivered the opening address to delegates. Stephen Whitelaw - Digital Tourism Scotland delivered a very engaging presentation on the future of the web. During the afternoon session Stephen also lead one of the workshops providing an insight into the importance of Search Engine Optimisation. Mark Johnstone - Google Digital Garage highlighted the services provided by the Digital Garage service and the importance of telling your story online. Thea Newcombe - Delivered the second of the afternoon workshops 'Blogging for Business' providing an insight into the importance of blogging and tips on how to make sure time is used effectively. Conrad Colman - Vendee Globe Skipper. Arguably the speaker who stole the show however was the 'Crazy Kiwi' Conrad Colman, just freshly back from an epic Vendee Globe campaign. At just 33 years old Conrad Colman only crossed the finish line of his first Vendee Globe at the end of February in a very respectable 16th place. His race wasn't your standard ocean race and he kept delegates enthralled with his tales of finding himself overboard while racing solo, battling an onboard fire, loosing a mast, making a jury rig and completing the race under his lashed together rig while surviving on the ration packs from his liferaft. 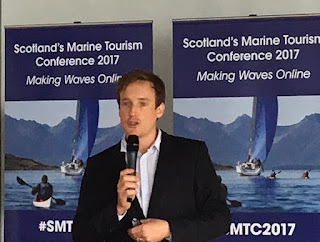 Delegates left the conference thanking Daniel Steel of Sail Scotland for a great conference which provided valuable insights for all on how to maximise the benefits of digital this coming season. 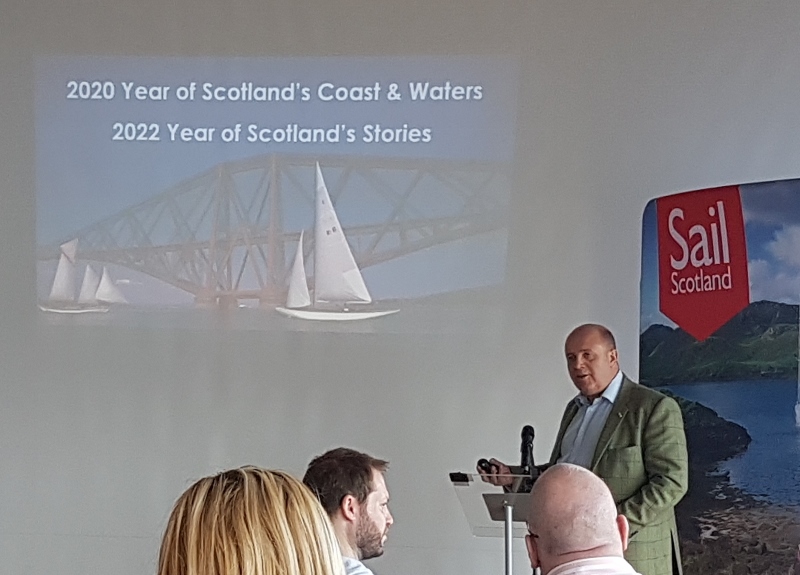 With 2020 recently announced as Scotland's Year of Coast & Water's there is a lot to look forward to.